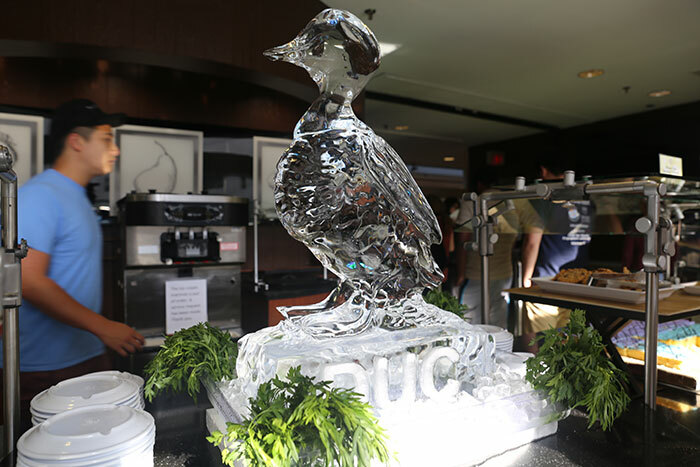 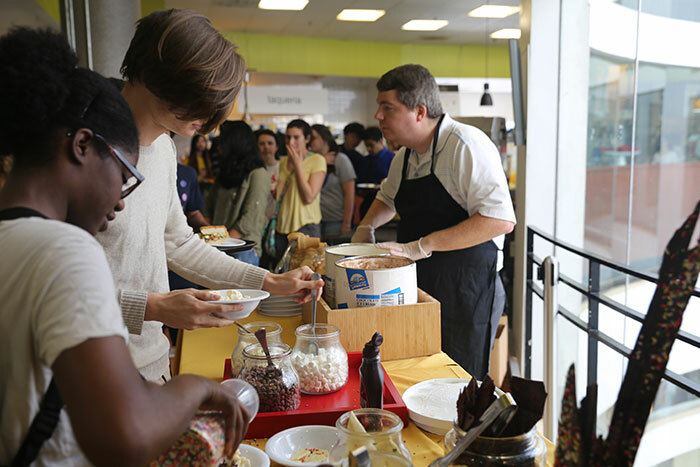 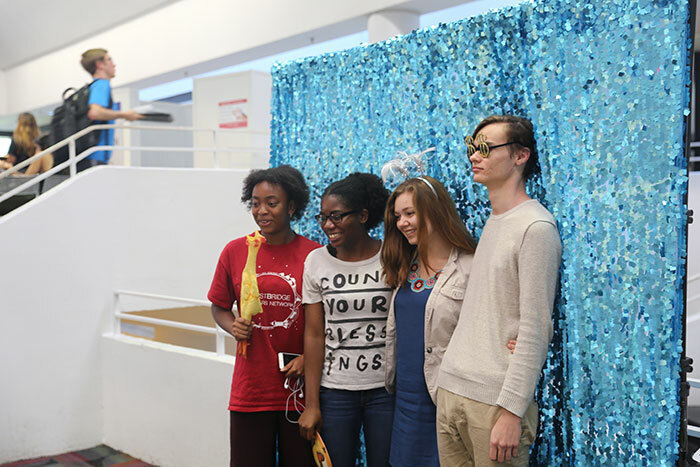 Emory Dining hosted a farewell dinner for Dobbs Market on Tuesday, April 25, featuring a special menu, photo booth and even a "DUC" ice sculpture commemorating the Dobbs University Center, long dubbed the DUC by decades of Emory students. 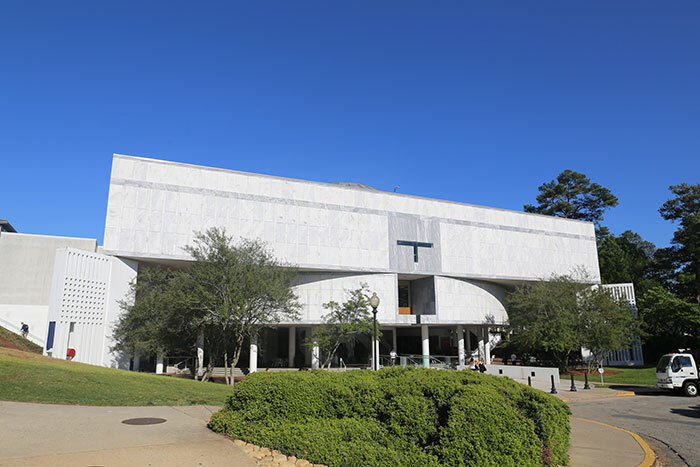 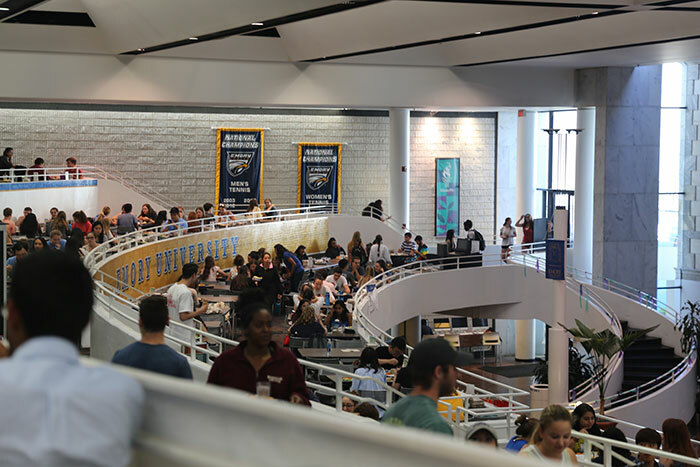 Emory's main student dining will move out of the DUC next month as construction gets underway on the university's new Campus Life Center, slated to open in May 2019 on the previous site of the DUC. 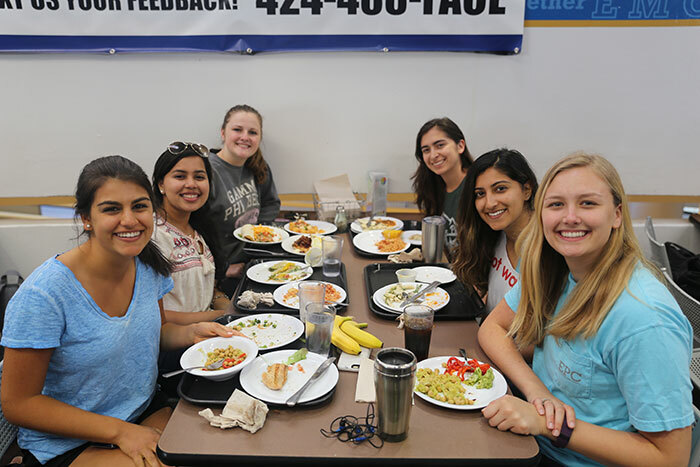 In the meantime, student meals will be served in an interim dining facility — already nicknamed the "DUC-ling" — in front of the Woodruff PE Center.